Living a superwoman’s life is a pressure too difficult to handle especially when you are determined to bestow all towards making it a reality. Microwave was invented particularly to help me live this being. Ha ha! If you would have asked me to talk about it during the last few semesters of my engineering days, I would have given you a far different opinion. Opportunely those days are behind letting me now enjoy the benefits. It is difficult not getting addicted to microwave cooking for the sheer convenience it provides for urban chics (ahem ladies) especially. I am not advocating its practice daily but those days when you are in real hurry or do not want to settle for a basic dal chawal or bread butter dinner you got to put use your friend. 2) Wash the rice under tap until it is well rinsed. Mix it with ginger garlic paste and set aside. 3) Add the green peas, chilly to the pan and sauté for a few minutes. 4) Add the rice, salt and about 2 cups of water . 5) Stir in the curd and cover for about 15 min or until rice is cooked. 6) Fluff with a fork and serve with curd or raita. 1) In a microwave safe large bowl, put some oil and cumin seeds. MW on high for 30 seconds. 3) Now remove the bowl from the microwave, add the rest of the spices, chilly and green peas. 4) Cover the bowl, and microwave for 30 seconds on high. 5) Remove the bowl, add the rice, salt, curd and water and stir well. 6) Microwave on high for 7 min. 7) If required microwave on 70% for another 2-3 min. Tips - Do not use ground garam masala for green peas pulav as that will change the color of the rice. If you wish, you can discard the whole spices before serving. The rice from microwave will be less soggy and fluffs up better than the pot cooked. I agree on how well this turns out!.. Looks yumm very comfort food.. I generally only use microwave for re-heating food but if you are really pressed for time, this is a good alternative. I use the microwave only for re-heating but I once tried pulav. I was surprised how good it turned out. I would stop cooking completely if MW isnt there! I cook the vegetables in it everyday and only the last minute sauteing is done on the stove top. wow this is real yummy. Would love to have this pulao even everyday..
Microwave is definitely a boon to modern kitchen. Pulao looks delicious. absulotely favorite side dish!...simple and easy to make too! yes. I agree with you. I mostly go with microwave when it comes to pulav. It fluffs well. I make this pulav slightly in different way. Will try your version soon. Lovely color the pulao has got Pradnya. You are right abt one. Mw is a real life saver.thanks for linking it to the event. Nice and great to know how to cook in microwave. love the colour and texture Pradnya. and thanks for linking to MEC too ! yummy peas pulao. loved the MW version. Doesn't the microwave take around 20 minutes to cook rice? A quick dish during time crunches. 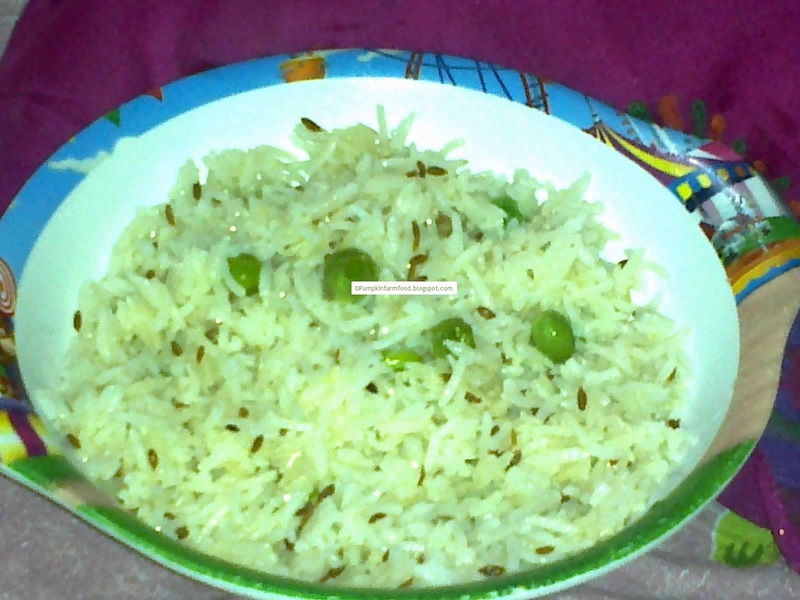 Easy breezy pulao! Love it! I agree with you, i use my MW for daily Cooking of Rice!!! 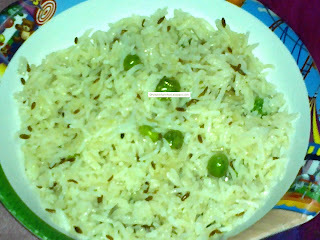 Peas pulav looks very delicious!! !